Stand with your heel up against a wall and place a tape-measure under your feet. Check your longest toe to your heel on the foot length measured in millimeters. When your size is between two sizes, choose the smallest size because Birkenstock usually fits slightly larger. 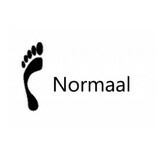 The coloured symbol indicates that the footbed is made for the normal foot. When you wear shoes that are made for normal feet, this is the right width for you. This is the normal width in the Netherlands. The non-coloured symbol indicates that the footbed is made for the broad foot. When you wear shoes that are made for broad feet, this is the right width for you. This is the wide width in the Netherlands. A large amount of product is available in two widths; make sure you select the right width. You can find the image on the inner sole of your Birkenstock sandal. Beware: On the box you will find the German widths. The feet of Dutch people tend to be somewhat smaller than those of Germans. 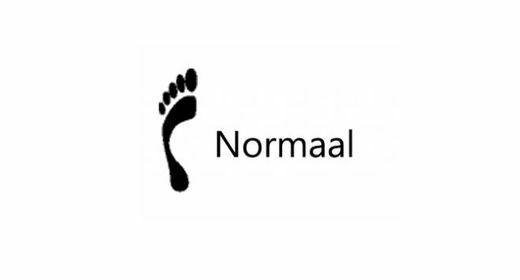 This is the reason that the coloured symbol is indicated as ‘normal’ in the Netherlands. On the box you will find the indication ‘schmall’ because this is the German size. Also available in our stores. Helaas is dit product niet op voorraad. Laat je email achter en wij brengen je automatisch op de hoogte wanneer het product weer op voorraad is. Birkenstock is well-known for its anatomically shaped foot bed. 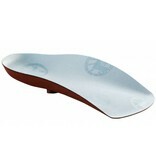 A lot of people cannot do without this foot bed and therefore Birkenstock insoles are available. This insole for shoes with a heel up to 2,5 cm is perfect for people who want to wear their own shoes but still wish to have the Birkenstock support and comfort. 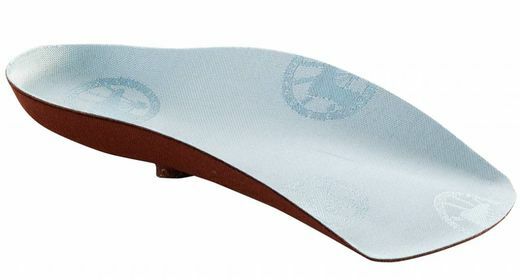 This insole is suitable for shoes with a heel up to 2,5 cm. The foot bed has a slight angle to perfectly fit a shoe with a height difference. The insole has a deep heel indentation and supports the foot in the middle and on the sides. The front part has been omitted because otherwise the insole would not fit in normal shoes. The insole is long-lasting and is made of natural materials, such as cork, to ensure perfect support. 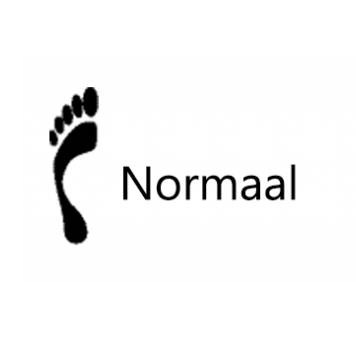 The insole is available in the width ‘normal’ and will fit in most of the normal width shoes.